OEMG -Global provides a wide range of consulting and project management services. From small boutique projects with only a very small number of people through to large and complex projects we can provide innovative, cost effective solutions for your needs. 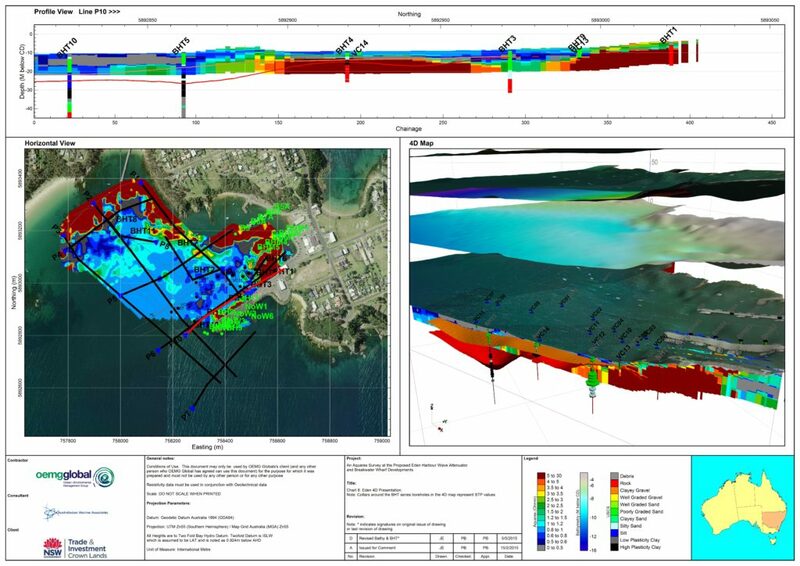 Our award winning Integrated Digital Ground Modelling(IDGM) process forms the basis of our Strategic IDGM. It provides a baseline framework that integrates all available data (Geophysical, Geotechnical, Ecological) over a particular target area into a comprehensive, four dimensional GIS model. This data is then available in customised easy to use formats for use across multiple departments and for multiple projects. Creating a Strategic IDGM is a cumulative process where data collected for individual projects builds on the baseline framework, creating a more comprehensive strategic IDGM. A Strategic IDGM is a valuable tool in an organisations “project delivery framework”, integrated into every day processes for project delivery. Reduced project risk/decreased long term exposure. 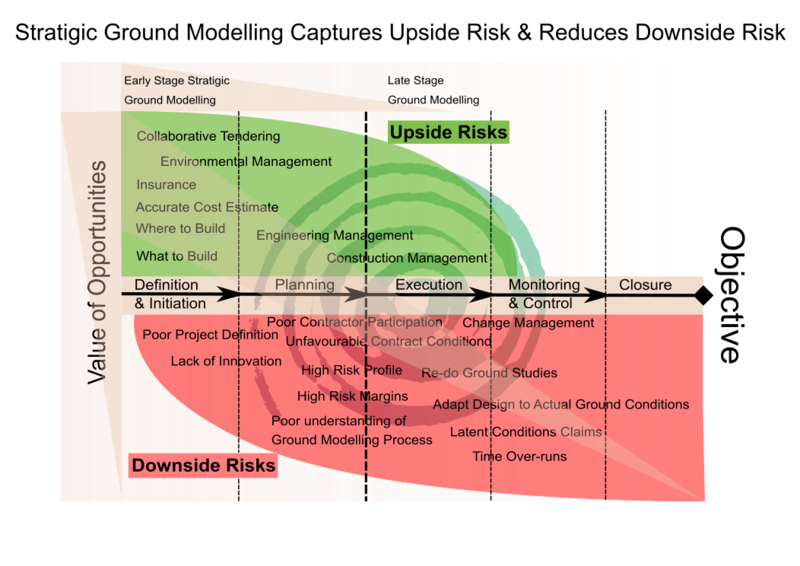 Upside risks are identified (opportunities to save money and add project value from improved understanding of geological risk combined with other datasets, early in the project). Downside risks, during construction, can be more effectively managed. Opportunities to share or on-sell data to other organisations with interest in the same target area. Promotes project learning and on-going improvements for organisations resulting in improved outcomes in future projects. Improved data sharing and decision making across multiple departments resulting in improved collaboration, time and money savings as project data is shared and re-used throughout the entire organisation. All available digital data for the target area is integrated into the baseline Strategic IDGM to enable an initial data gap analysis. Additional digital data can then be collected and integrated to create a more comprehensive Strategic IDGM. Deliver usable data in a wide range of formats as required by the target audience eg. google maps, geoPDF, 3D CAD etc. 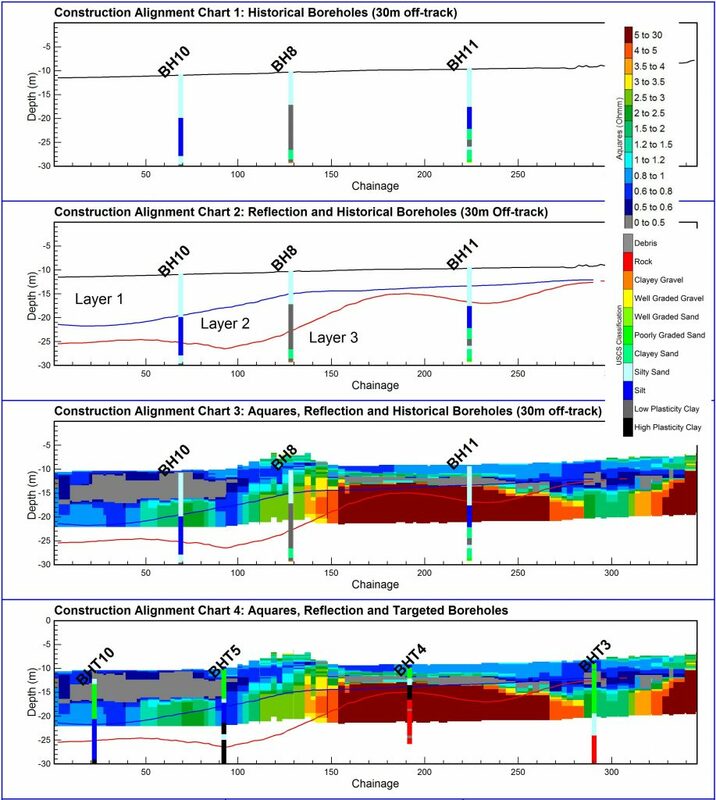 Designing an effective sampling plan for a geological campaign is extremely important to a project to provide the greatest possible benefits for adding value to a project, saving money, reducing environmental impact and reducing risk. Design additional data sampling (eg. targeted borehole campaign) which specifically targets geophysical structures of interest. This step involves the review and integration of the Strategic IDGM into the existing business processes of the organisation to ensure maximum benefits.